Dr. Gamal erupted into giggles throughout his scattered 90-minute presentation. Alexandria, Egypt – Haram researchers at the University of Alexandria announced the results of their 15-year red wine study. Disheveled Study Director Dr. Mahmoud Gamal addressed reporters while reading from a tattered collection of loose leaf papers. The study, started in early 2000, initially focused on red wine. According to researchers, their scope expanded “a few years ago” when an intern brought Cognac to the facility and things “deteriorated rapidly” from there. 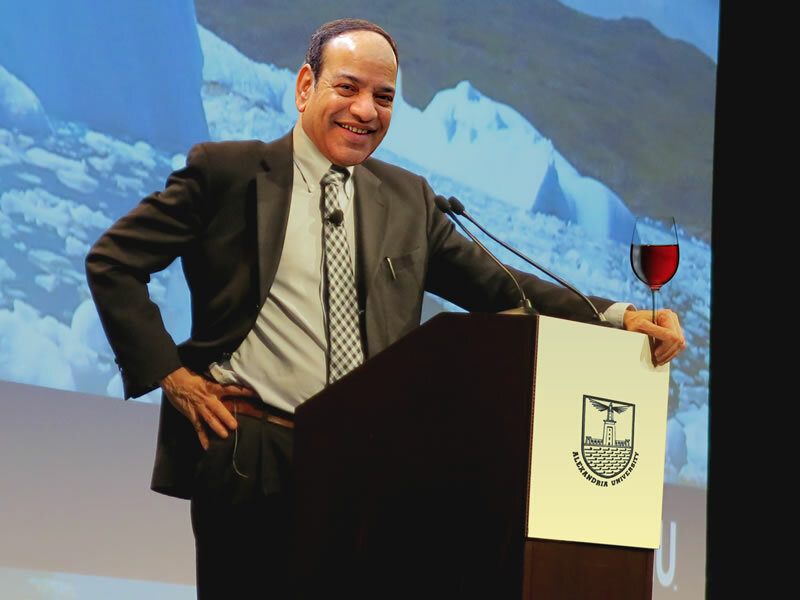 “When [Ph.D. candidate Farouk] Abbasi busted out with the opiates, things really went sideways,” added Gamal while pouring himself a glass of 1972 Pinot Noir. At numerous points, other research team members stumbled to the podium shouting their findings and/or darkest, inner-most thoughts. Gamal was also interrupted by a urine-soaked assistant researcher repeatedly asking where the bathroom was. “Where’s Abbasi?,” he concluded while abruptly walking off stage.